Amritsar may have been founded as recently as the 16th century by Guru Ram Das, the fourth Sikh guru. However, the lore and legends weave a mythical link between the place and the Hindu epic Ramayana. It is believed that Amritsar is the location of Maharishi Valmiki’s ashram where Sita gave birth to her twins, Lav and Kush. Intertwined with the history of Sikhism, this city is home to the Golden Temple, the holiest shrine of the Sikhs. At the same time, Jallianwala Bagh continues to depict Amritsar’s vital position in the country’s freedom struggle. Fascinating legends, religious structures, historic edifices, bustling bazaars, colorful festivals, and delicious food all come together to mark it as a vibrant tourist destination. If you are planning a trip to this heritage city, here’s your guide to all the amazing places that deserve to be visited and cherished. Amritsar is a city that is to be experienced more than to be seen. Here are some of the must-visit tourist places that you can cover during a two-day trip to the city. The crown jewel of Amritsar, the Golden Temple is unquestionably its main center of attraction. Built in the 16th century, the shrine is an open house of worship for people belonging to all walks of life and religious affiliation. 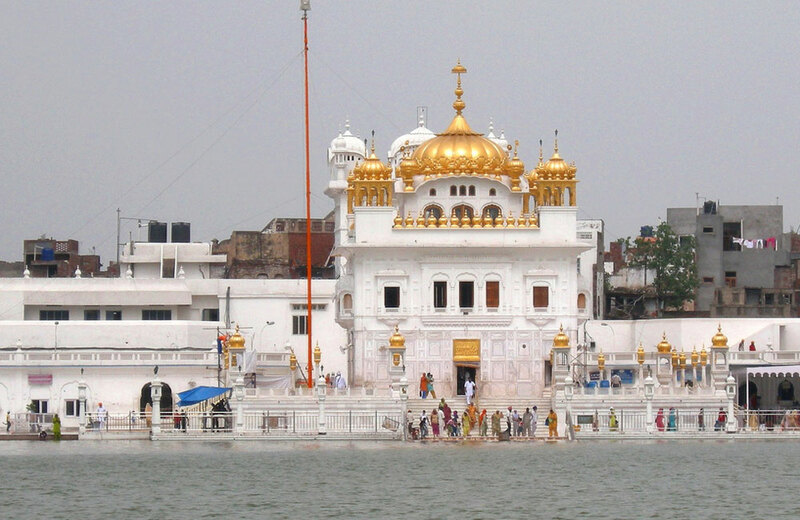 It is also known as Sri Harmandir Sahib or Darbar Sahib and is one of the most visited tourist places in India. The shrine exhibits a spectacular architecture, which is a unique blend of Hindu and Islamic artistic styles. Adorning the inner walls of the temple are semi-precious stones, Meenakari work, and glasswork that are a treat to your eyes. 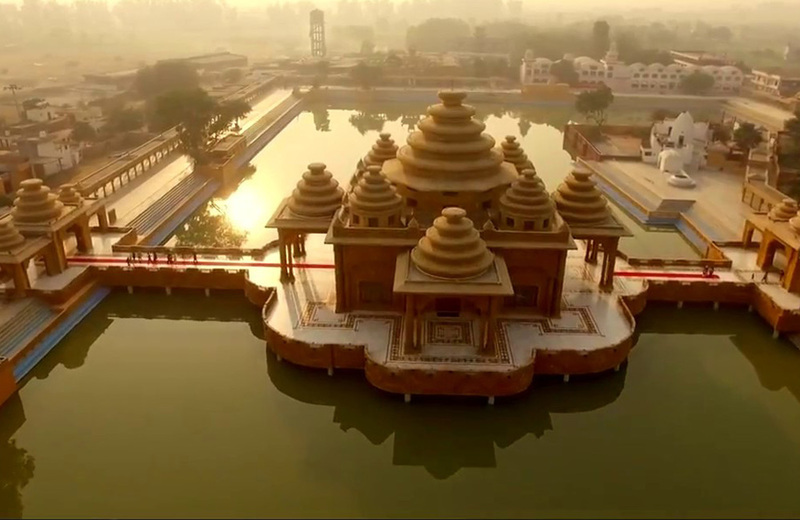 The tranquil water body surrounding the temple enhances its beauty. With its golden sheen and harmonious aura, the shrine stands as the perfect picture of serenity and eternal bliss. Guru Granth Sahib, the sacred religious book of the Sikhs, is kept inside this Gurdwara during the day and taken to the Akal Takht at night. A key highlight of the shrine is the Langar – a free vegetarian meal offered to each and every visitor. Make sure to cover your head when you enter the shrine, as is the compulsory custom of this religious site. 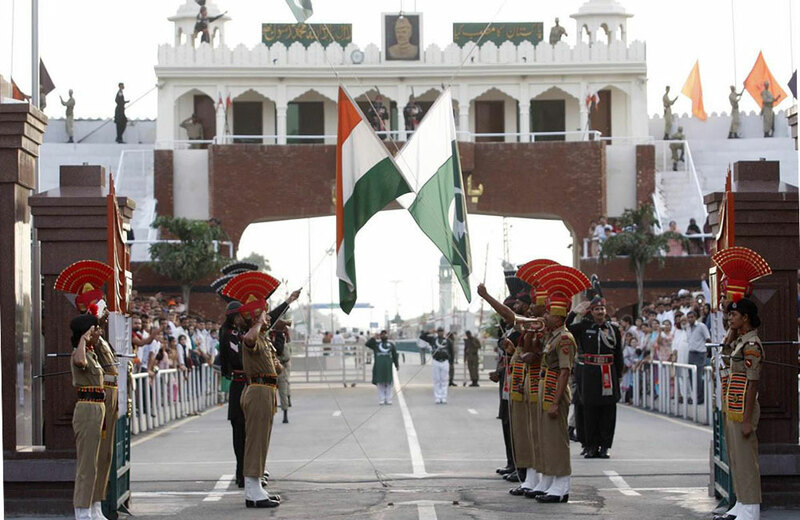 A visit to the Wagah Border is often marked with a patriotic high. Located around 30 km from Amritsar, Wagah is the only road border crossing that runs between India and Pakistan. Every evening, the border turns into a ceremonial ground before the sunset and attracts hordes of tourists. It is the time when soldiers belonging to both the countries engage in Beating Retreat and Change of Guard ceremonies. It is a daily practice when the lowering of the national flag takes place on both sides of the border by the soldiers, accompanied with elaborate and quick military exercises. This practice has been continuing since 1959. The whole ceremony is a colorful treat for the visitors. Since seats are not reserved, do get there at least one hour before the ceremony begins and carry along a pair of binoculars for a better view. 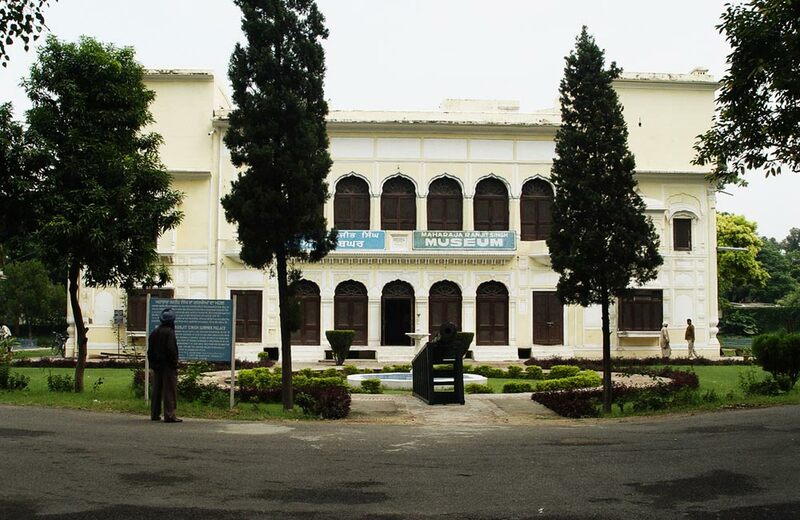 Maharaja Ranjit Singh Museum is dedicated to the Lion of Punjab, Maharaja Ranjit Singh. The museum is housed in one of his beautiful summer palaces, which is reason enough to pay a visit to this place. Surrounded by manicured lawns, the palace presents a pretty picture. Once you step inside the museum, you will be able to witness a wealth of artifacts and relics that remain a testimony to the glorious times of this great leader. The museum features paintings, dresses, weapons, and coins among other things. You can also see several articles and paintings related to the various battles that were fought by the brave ruler. Fancy visiting a century-old college that boasts of a sprawling 300-acre campus and a magnificent edifice that seems to be straight out of a coffee book? Then you got to pay a visit to Khalsa College. This historic educational institution was founded in 1892. The college has made a significant contribution to the country’s struggle for freedom. Apart from its historic importance, another key factor that draws tourists to this college is its brilliant architecture. 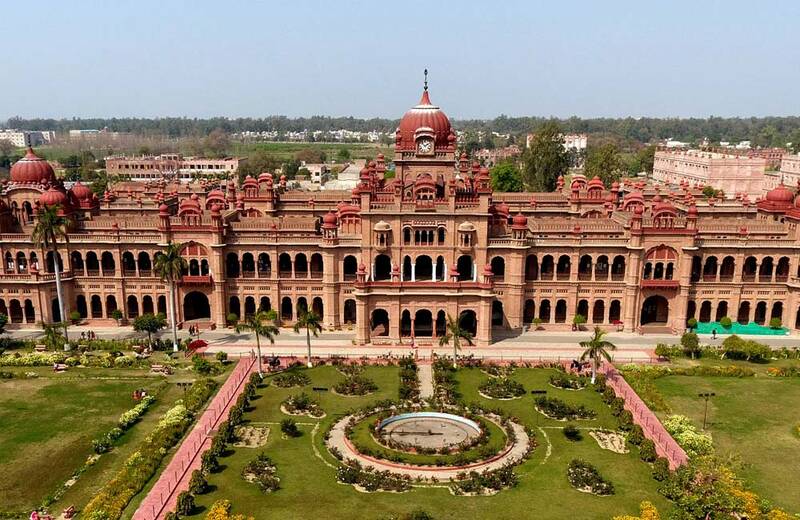 The main building of the college is no less than a massive castle and is considered to be an outstanding example of the Indo-Saracenic style of architecture. Religion and mythology blend together at Ram Tirath Ashram, which is also known as Bhagwan Valmiki Tirath Sthal. The place is considered to be the sacred spot where Lord Rama’s sons, Lav and Kush were born. Legends mark this spot as the place where once stood the ashram of sage Valmiki. It is believed that the great sage started writing the Ramayana here. The ashram may be no more today, but you can visit a grand temple that stands here. 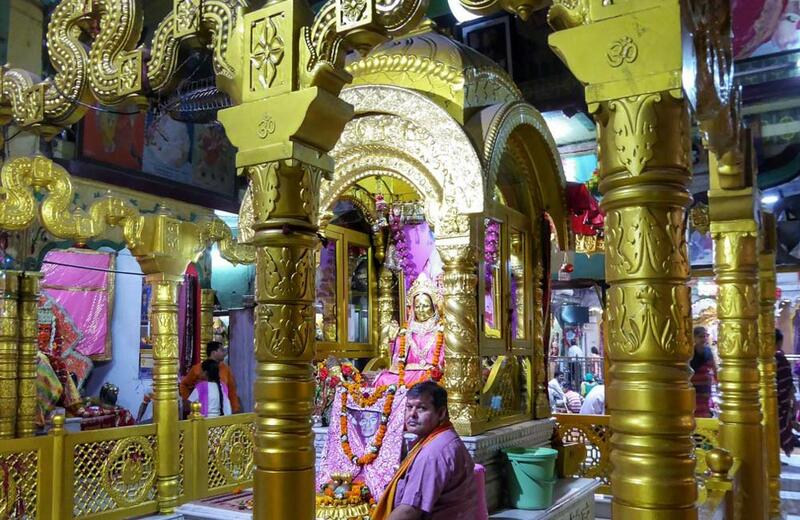 An 800 kg gold-plated statue of sage Valmiki is the main attraction of this temple. 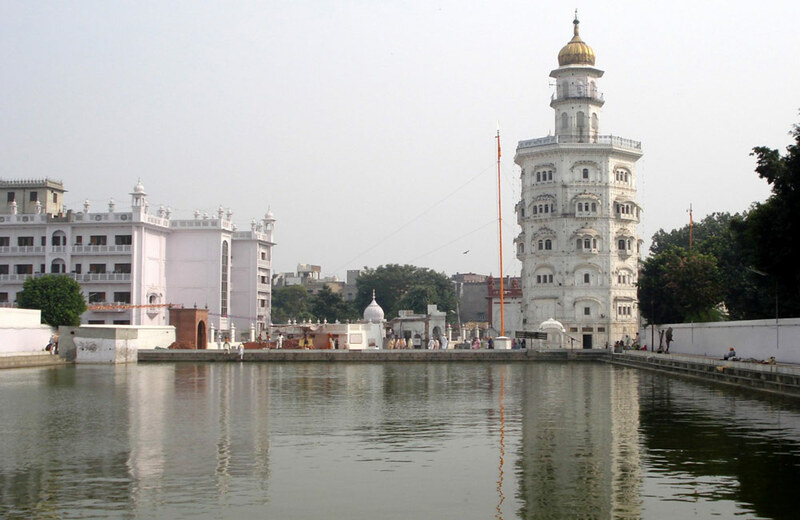 Gurdwara Sri Tarn Taran Sahib is a famous religious place in Amritsar. The shrine was established in the year 1590 by Guru Arjan Dev, the fifth Sikh guru. It attracts not just the pilgrims but a large number of tourists as well, thanks to its majestic edifice. 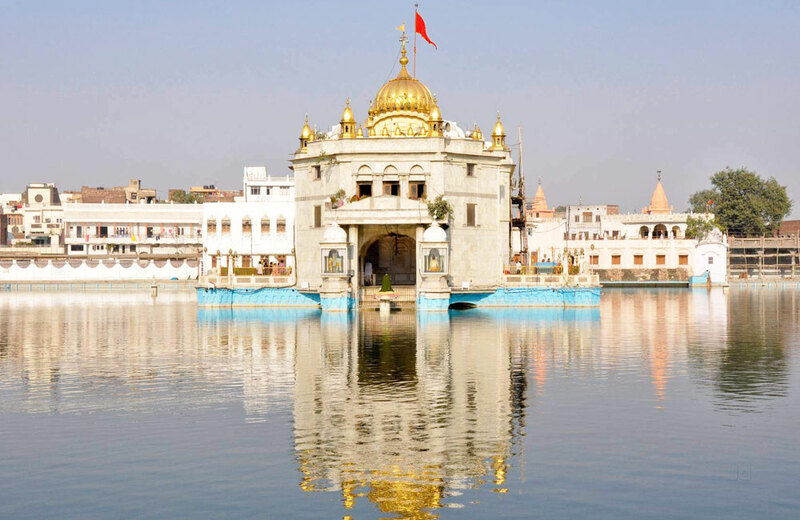 The imposing white structure with a golden dome stands surrounded by a serene water body which has the distinction of being the largest one among all the water bodies of the Gurdwaras. A sacred Hindu temple, Mata Lal Devi Mandir is a unique place of worship that is quite popular among Hindu devotees. The temple is dedicated to a 20th-century female saint known as Mata Lal Devi. Unlike other temples, this place boasts of colorful mirrored hallways, ankle-deep waterways, twisted pathways, tunnels, and even a cave. An interesting feature of the temple is that it houses numerous Hindu deities and features a number of grottoes and shrines. It is believed that the temple is full of miraculous powers and any woman who prays for children at this temple is granted the wish. Visit this place to experience the exceptional ambiance and beauty of this temple which you may not find in any other temple in India or elsewhere. When you are in the vicinity of the Golden Temple, you can easily immerse yourself in the historical and cultural beauty of Amritsar. Surrounding the holy shrine are a number of tourist attractions that are definitely worth your time. Listed below are a few of the major tourist places near the Golden Temple. Perhaps there is no other memorial in India that paints such a poignant saga of the freedom struggle as the Jallainwala Bagh. Spread over 6.5 acres, the public garden remains a testimony to the most heinous public massacre that the British Army committed on unarmed Indians. It was almost a century ago, in the year 1919, when the British forces under the command of General Dyer brutally open fired on a peaceful congregation of men, women, and children at this very place and left hundreds dead. The huge stone memorial at the garden is a stark reminder to the black day in India’s freedom history. Even today, you can see the bullet marks on a section of the walls of the garden and the well into which several people had jumped to death on that fateful day. 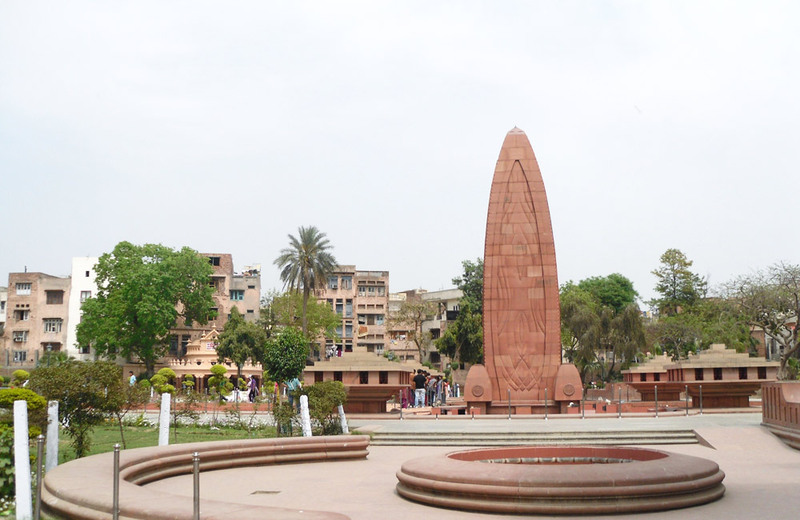 Jallianwala Bagh is a must-visit place where you can go through a dark chapter in the country’s freedom struggle and pay homage to the martyrs. If you visit the place in the evening, you can watch the light and sound show that recreates the horrifying incident. Akal Takht means the throne of the timeless one. It is a Sikh temple that represents one of the five seats of power in Sikhism. 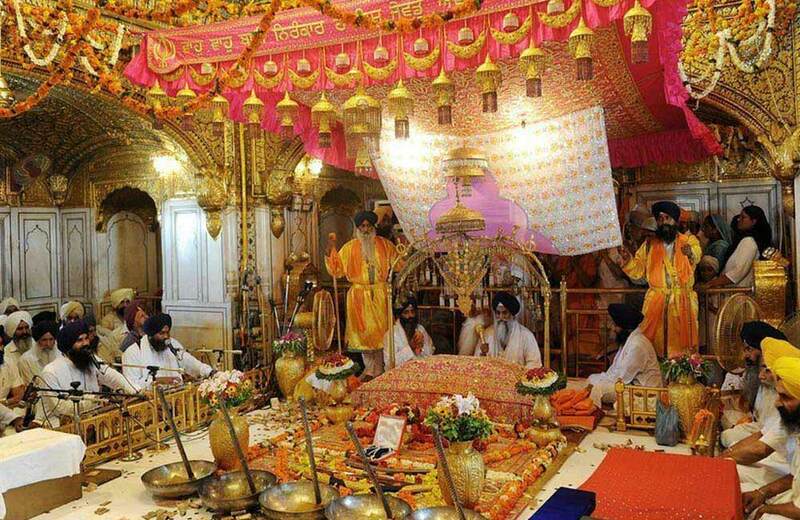 Akal Takht is considered to be as significant as the Golden Temple by the followers of the religion. The temple stands just opposite the Golden Temple and is a beauty in itself. The five-storied white structure of the Akal Takht features the Sikh style of architecture, marble inlay, and a gold-leaf dome. It is an incredibly peaceful place that attracts tourists due to its unique aura that has to be experienced in person. Located in the middle of a sacred lake, Durgiana Temple is one of the most visited religious destinations in the city of Amritsar. The temple is known by several other names, such as Lakshmi Narayan Temple, Sitla Temple, and Durga Tirath. When you visit the temple, you will notice that its architecture bears a close resemblance to that of the Golden Temple. However, the temple has its own unique ambiance and definitely deserves a visit. Gobindgarh Fort that spreads across 43 acres is a landmark attraction in Amritsar. Tracing its roots to the 18th-century, the fort has remained witness to much bloodshed that has marked the city’s history. But even today, it stands strong. Until recently, the fort was under the occupation of the army. But as of February 2017, it has been opened to the public as a live heritage museum. Among the major attractions of the fort are a coin museum, ancient warfare museum, haat bazaar, and whispering walls. 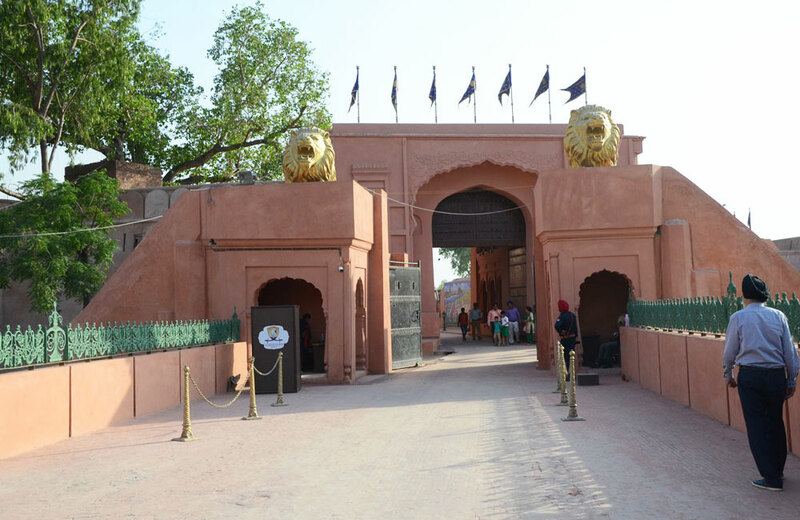 A unique attraction of the place is Sher e Punjab, a 7D show developed on the life of Maharaja Ranjit Singh, which will take you back in time to the 19th century and leave you with an immersive experience. You can also take part in games and live dance performances and win prizes. Various food stalls around the place will ensure that you gorge upon mouth-watering delicacies during your visit to the fort. Whether you are a history buff or not, visit this fort for a thrilling experience. Jama Masjid Khairuddin, also known as Khairuddin Mosque, was built by Muhammad Khairuddin way back in 1876. It is a historic mosque that holds a significant position in the pages of India’s freedom struggle. Religious and historical importance notwithstanding, the mosque attracts a lot of visitors due to its impressive architecture and beauty. 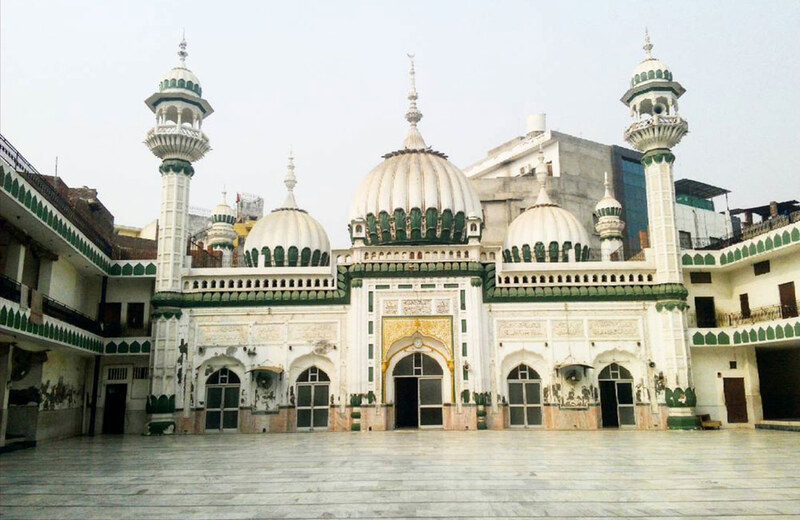 Showcasing Islamic style of architecture, the mosque features three domes and four minarets. Intricate designs adorn the walls of the mosque that lends the structure a one-of-its-kind look. A short walk from the Golden Temple will lead you to Gurudwara Baba Atal Rai, one of the finest architectural wonders of Amritsar. Unlike other Gurdwaras, this is a nine-storied octagonal tower. It was built around 200 years ago in the memory of Baba Atal Rai, the son of Guru Hargobind, the sixth guru of the Sikhs. The edifice stands as a moving reminder of the self-sacrifice of Baba Atal Rai in the year 1628. Legend has it that he gave up his life at just nine years after restoring to life one of his close friends from death. The nine stories of the Gurudwara represent the nine years of his life. 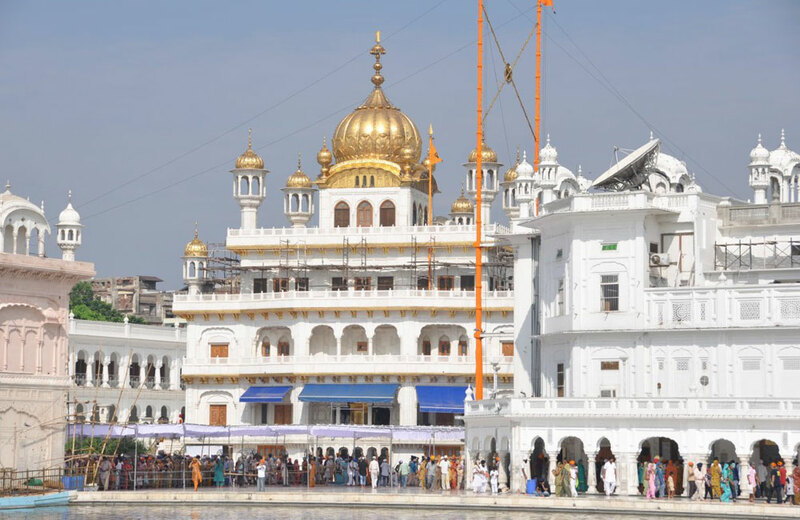 The shrine is built as per Sikh architectural style and presents an impressive sight to the visitors. If you reach the top of the Gurdwara, you can get a mesmerizing view of Amritsar from the vantage point. Location: Golden Temple Complex, Amritsar Cantt. A trip to Amritsar can never be considered complete without a visit to Hall Bazaar, one of the iconic marketplaces of the city. 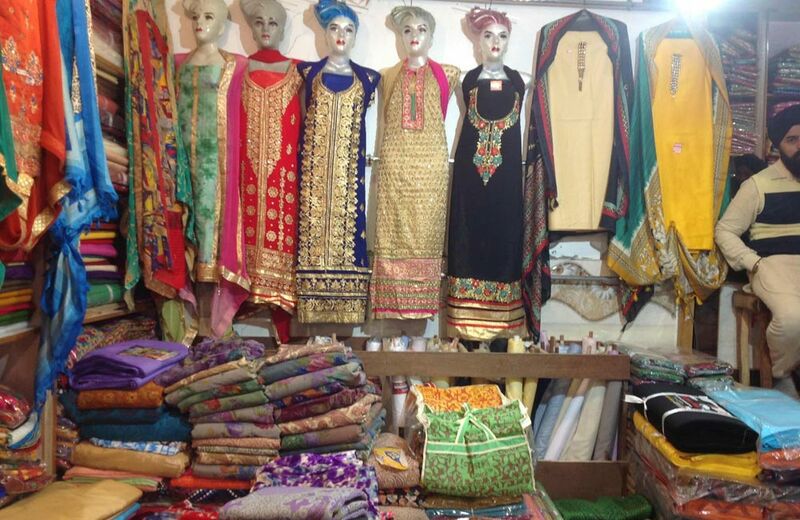 A shopper’s paradise, this ancient bazaar is the hub of many things, including gadgets, trendy accessories, phulkari embroidery work, bangles, local handicrafts, traditional garments, Chinese lamps, and even essential items of daily use. But the marketplace is mainly famous for fancy and colorful jootis. The Mughal-style entry gate of the bazaar, known as Gandhi Gate, is another attraction of the place. Walking and shopping in the narrow lanes of the market that offers a sensory overdose of vibrant sights and sounds can be an experience in itself. Do not forget to collect a few souvenirs from the market as memorabilia of your Amritsar trip. Also, get a taste of the famous delicacies of the region at one of the age-old eateries in the area. Whether you want to get a glimpse into Amritsar’s incredible past or soak in its present flavor, a visit to the city will enable you to come back with an enriching experience. So, head to the city, check into one of the hotels in Amritsar and start your blissful tourist adventures in this amazing land of heritage and culture.